Arsenal will look to climb back in to the top four with a win when they take on Wolves at the Emirates Stadium on Sunday afternoon. The club have issued a full team news and injury update on Arsenal.com ahead of the game with the latest on Danny Welbeck, Stephan Lichtsteiner, Nacho Monreal, Mohamed Elneny, Laurent Koscielny and Dinos Mavropanos. Welbeck was stretchered off with his ankle in a brace after landing awkwardly while challenging for a header during Arsenal’s 0-0 draw with Sporting Lisbon in the Europa League group stages on Thursday night. The club have confirmed Welbeck is still in hospital being assessed after suffering what is described as a ‘significant’ ankle injury last night but a full diagnosis is expected to be issued over the new few days. Lichtsteiner also picked up a knock against Sporting after limping off during the second half with a suspected hamstring strain and Arsenal say the full-back is still being assessed so it’s not clear how long he’ll be on the sidelines for. 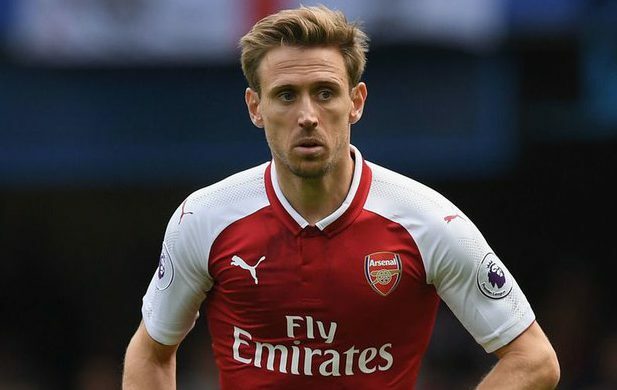 Monreal returned to full training this week after missing the last five games with a hamstring injury that he sustained last month and the Spaniard is still a doubt to face Wolves this weekend. Unai Emery will continue to be without Elneny as the midfielder won’t resume full training for another week as he bids to recover from a thigh injury while Mavropanos is still working his way back from a groin problem. Koscielny isn’t available for selection just yet as he’s still building his fitness in training after recovering from a ruptured Achilles that he suffered back in May of last season but Emery suggested earlier this week the defender may be back in contention later this month. Significant right ankle injury. Danny remains in hospital and will continue to be assessed. A further update will be issued over the next 72 hours. Right hamstring. Being assessed ahead of Wolverhampton Wanderers (h) on Sunday, November 11. Right thigh. Expected to return to full training in one week. We’ll have to wait and see how serious Welbeck’s injury is but Emery hinted last night he may have broken something so it looks like the striker is set for an extended spell on the sidelines which is a big blow.